Once you find a physical activity you like, staying fit can be so much fun that maybe you go a little overboard. With exercise, like many other things in life, too much of a good thing can be a bad thing. We’re not talking about a little soreness and fatigue; it goes much deeper than that. Overtraining can have serious and long-term consequences. How do you know if you’re pushing the boundaries too much, though? Here are five signs of overtraining. Because it releases endorphins, exercise is supposed to elevate your mood. But what if it doesn’t happen? What if, instead, you feel demotivated, tired, uncomfortable, and irritable? This is one common side effect of overtraining. When you don’t get adequate rest and recovery, you exhaust yourself physically, mentally, and emotionally. The glands that help control your hormones can’t function properly, throwing your body for a loop. This can lead to unpredictable mood swings, irritability, and even trouble concentrating. 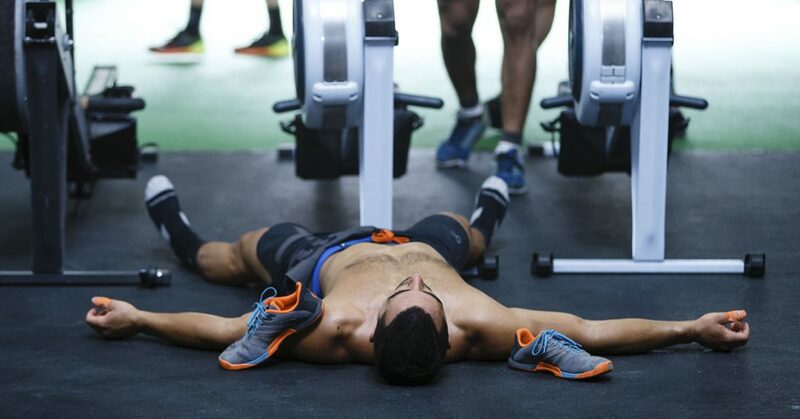 If even a good workout leaves you feeling negative overall, maybe it’s time to rest. Your body won’t return to a healthier place until you give it a chance to recuperate. When you overtrain, you might find your sympathetic nervous system — the one that serves to accelerate your heart rate, constrict blood vessels, and raise blood pressure — may be restless. Because of this, you find it hard to sleep at night, as backward as that may sound. Proper physical activity should help you get more high-quality sleep — not the opposite. It’s a neverending cycle, too. Because you’re worn out, you can’t sleep. And because you can’t sleep, you feel more worn out. The only solution? Rest. When you stress the body too much, certain hormones increase (like epinephrine and norepinephrine) that lead to a decrease in appetite. Plus, the change in mood and loss of sleep could further contribute to suppressed hunger. Ironically, because overtraining can make your cortisol levels skyrocket, you might actually gain weight. You can tweak your nutrition all you want. If you’re training too much, your body is going to work against you and not with you. This is one of the most common side effects, and it makes perfect sense. Constant soreness is your body’s way of saying, “Hey, slow down. I need a break!” Sure, it’s normal to be sore when you do a particularly strenuous WOD or expose your body to a new stimulus. But 24/7 soreness is not the norm. Remember, too, that it’s not just soreness your body is trying to fight off. All of your systems get overly taxed when you train too much. This means you’re more vulnerable to illness and infection, like upper respiratory tract infections. Your testosterone can plummet, and you could possibly face low bone mineral density. For your body to be able to function properly and protect you like it needs to, it needs sufficient time to rest and rebuild. By now, you’re probably guessing overtraining could lead to a loss of gains in the gym. To be clear, overtraining isn’t the only cause of plateaus or a decrease in performance. 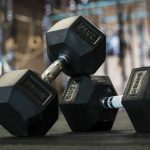 Your performance in the gym fluctuates naturally, and you might not be able to WOD as hard simply because you’re getting over a cold or had a rough week at work. But if you’re experiencing an unnaturally long dip, don’t work harder to try to get out of it, because that could be the cause in the first place! Look for warning signs like decreased agility, strength, speed, and endurance. Your reaction times might also be slower than normal. Understandably, when athletes feel weak, they think they need to work harder at getting stronger. In reality, the exact opposite might be the case. If you’re suffering from overtraining and want to get better, the answer is clear: you need rest. Serious rest. Not a quick nap or a weekend off. This entails a lifestyle change. Give your body a chance to recover and eat a lot of nutritious food, and you’ll be back at it in no time.